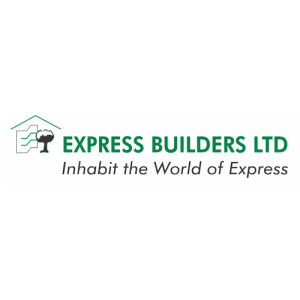 Express Builders Ltd is a quality-driven group, which firmly believes in high quality construction that ultimately brings customer satisfaction. Founded in the year 1980, the group has gained some commendable and remarkable experience that has helped them understand the nerve of the market, the needs of the customers and thereby enabling them to deliver what is required of them. Venturing into construction of residential projects and commercial projects, the company has gained immense traction at various locations like Ajmer, Hyderabad, Ghaziabad, Bangalore, Delhi and Mathura. Following the principle of ‘trust’, the company considers it as the main component for almost any real estate organization to prosper and garner customer satisfaction. With strategic planning and meticulous designing, Express Builders group makes sure that each project they execute is in compliance with global standards. Helping and guiding the company to conquer newer heights, the group’s Chairman and founder Mr. J.B. Goel has always been a motivational figure for the teams working at Express Builders. In order to understand the customers’ preferential choices and needs, the company offers personalized services and sticks to transparent and ethical business policies. Apart from this, the group while taking no risks against their quality policy employs only qualitative material as well as manpower that helps the group scale new altitudes.